Rich Hanukkah chocolate coin gelt sacks. Made in Belgium, the worlds home for fine chocolate, these Kosher gelt sacks are made of the purest ingredients only. You will smell the difference from the moment you grab hold of the box, let them melt in your mouth to enjoy the very last drop. These Chanukah chocolate gelt coins are made in a nut-free facility, a safe choice if you are distributing to children. 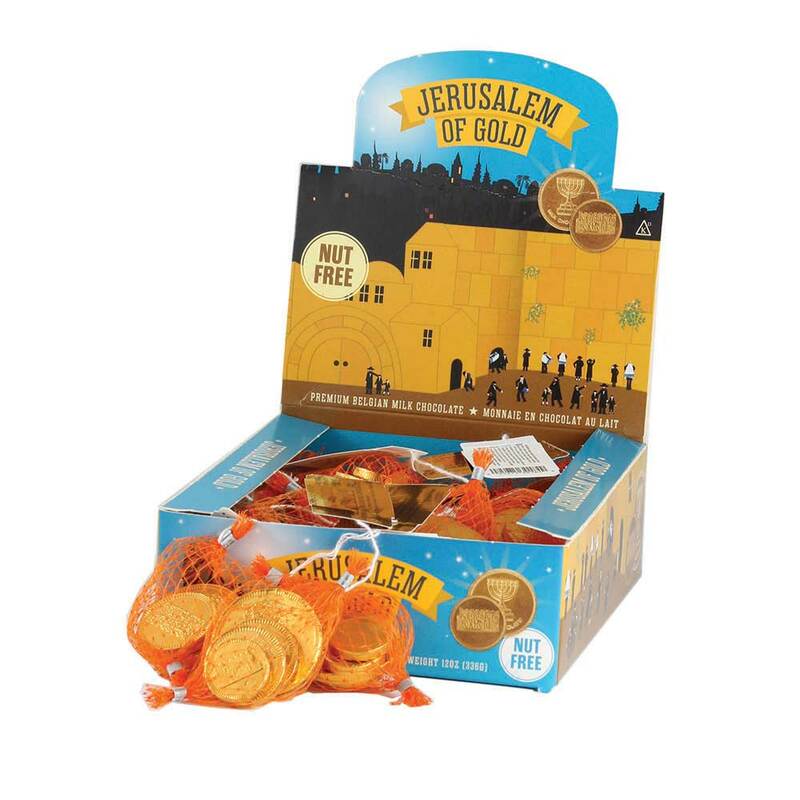 The packaging features the Jerusalem of Gold, where the Chanukah story took place. These Hanukkah Gelt Bags still come 5 per sack and 24 sacks per box, so get these Gelt sacks for quality and value. Weight .50 ounces per sack x 24 sacks. BLACK FRIDAY DEAL! ABSOLUTELY BEST QUALITY HANUKKAH GELT!